Quick tips to prepare your home to sell! As your real estate agent I will prepare a list of specific suggestions for getting your house ready for market. 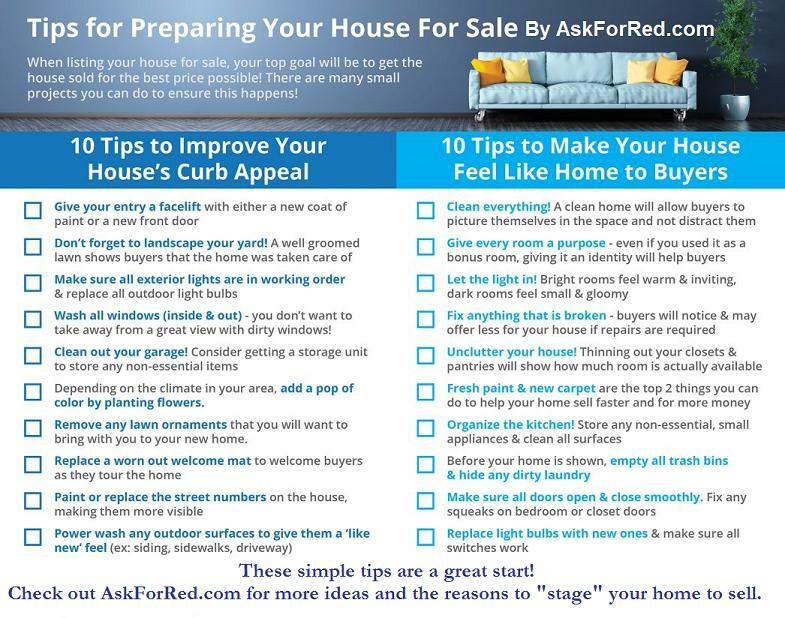 As part of listing your home to sell, AskForRed.com will also STAGE YOUR HOME TO SELL. CHeck out our "before and after" pics!